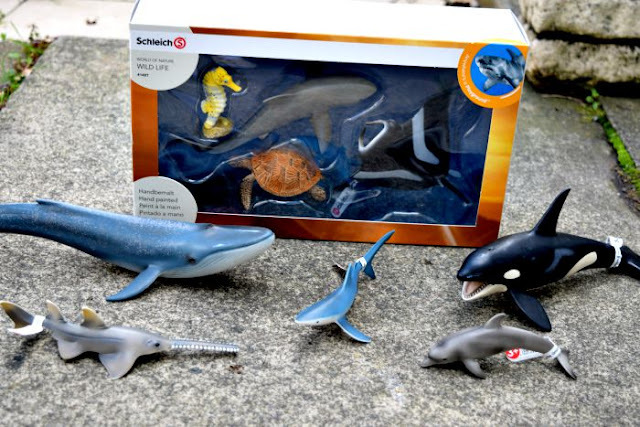 Schleich is one of those companies that many people don't realise they recognise. 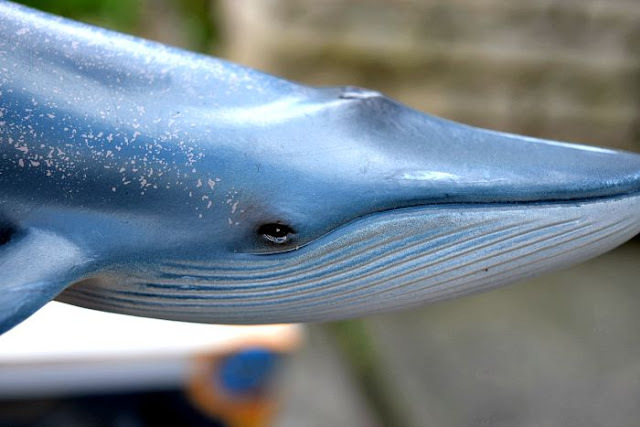 I remember owning Schleich animals when I was a child and my younger sister did years later. Now it is time for my children to discover them. They are makers of high quality animal figurines amongst other things and can be found in most toy shops including The Entertainer, Toys r Us etc. We were sent a range of Schleich ocean creatures to review. 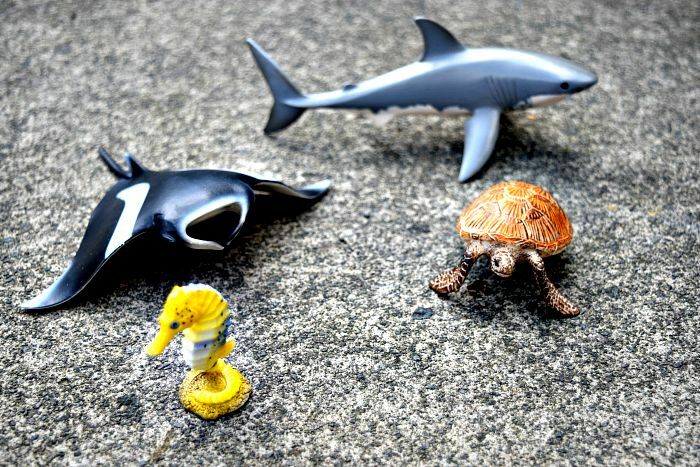 We received the Ocean Set which contains Seahorse, Shark, Sea Turtle and Manta Ray along with 5 single sea creatures; Blue Whale, Killer Whale, Dolphin, Blue Shark and Sawfish. The Ocean set is inspired by the Great Barrier Reef, one of the most fascinating underwater habitats on Earth. I think Schleich toys are a great educational tool for teaching children all about animals and the attention to detail on each figure is amazing. You can see how they justify the price tag when you look at them and I also love how they keep their value looking at prices on ebay. The ocean set retails at around £14.99 which I think is very reasonable and definitely worth every penny. 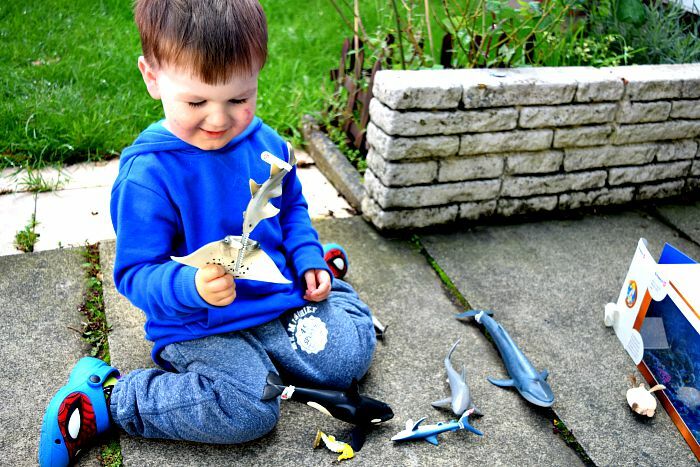 The single figures do work out slightly more expensive; Blue Shark £4.99, Dolphin £4.99, Sawfish £5.99, Killer Whale £6.99 and Blue Whale £7.99. My kids have loved playing with the Schleich sea creatures and like to sneak them in the bath at times for water play too. Zach is especially smitten with them, his favourites are the Blue Whale and the Sea Turtle. They are so worthwhile to buy and I think we will be adding more to the collection for Christmas.